TEXAS CITY - Mr. Leroy B. “Cookie” Koch passed from this life Wednesday evening, September 5, 2018, in Texas City. Leroy was born November 23, 1922 in Shelby, Texas. 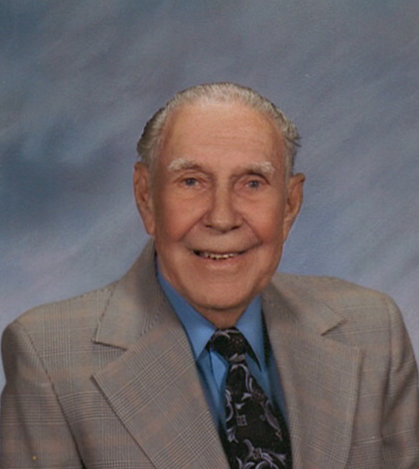 He was a man of integrity and perseverance who proudly served his country in the United States Army during WWII as an army combat medic and received many honors for his service including the Purple Heart. After the war, Leroy made a career at the Marathon Plants in Texas City and survived the 1947 explosion. He loved keeping his mind sharp by doing crosswords every morning, but his true passion was dancing. He and his wife, Erlene, help start the Brenham Polka Dance Club and you could always find Leroy at the Blue Bonnet Opry enjoying live music and dance. He was also an avid collector of antique instruments and clocks. He was a man like no other and will be greatly missed. He was preceded in death by his parents, Willie and Elsa (Richter) Koch; wife, Erlene (Ganske) Koch; daughter, Sharon Ann Spence; brothers, Karry and Dennis. Survivors include his son, Robert “Bobby” Koch, Sr.; daughter, Sandra Willoughby and husband, Randy; son-in-law, David Spence, Sr.; grandchildren, David, Jr., Sara and Michael Spence; Amy and Kristy Godwin, Robert, Jr., and Jeff Koch; sister-in-law, Verdene Brinkmeyer and husband, Thomas; numerous nieces, nephews, great nieces, great nephews and many friends and his furry companion, Butch. Visitation will begin at 1:30 p.m. Sunday, September 9, 2018, at St. Paul’s Evangelical Lutheran Church in Brenham with funeral services beginning at 2:00 p.m. Interment will follow at Prairie Lea Cemetery under the direction of Hayes Funeral Home. Local visitation with the family will be from 4:00 – 6:00 p.m. Saturday at the funeral home, 10412 Highway 6, Hitchcock, TX (409) 925-3501. Memorials in the form of donations may be made to your local hospice organization.